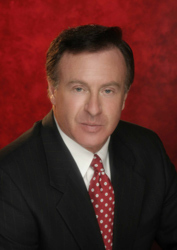 Dann Sheffield: Attorney, Founder of Dann D. Sheffield & Assoc. Dann D. Sheffield graduated from The University of Puget Sound in 1973, receiving a Bachelor of Arts degree in Political Science. Dann received his Juris Doctor degree from The University of Puget Sound, School of Law in 1976.1 He was admitted to the Washington State Bar Association that same year. After graduating from law school Dann began his legal career by starting a private personal injury practice in Seattle, Wa. In 1978 Dann began working as in-house counsel for AGC(Associated General Contractors) of Washington. While working as AGC’s in-house counsel, Dann focused on pension and construction consultation. In 1982 Dann left AGC to work as an associate attorney at Bogle & Gates, Seattle’s oldest and one of it’s largest law firms at the time.2 While at Bogle & Gates, Dann worked on a broad spectrum general litigation matters for the firm. In late 1983 Dann left Bogle & Gates to become a partner at Ekman, Bohrer & Sheffield.3 While partner at Ekman, Bohrer & Sheffield, Dann returned his legal focuses to personal injury law. Finally, in 1985 Dann separated from Ekman, Bohrer & Sheffield to return to his private personal injury practice. That private practice is Dann D. Sheffield & Associates, and has now been proudly providing aggressive legal representation in the greater Seattle area for over 35 years. 2 Bogle & Gates was dissolved in 1999 after 108 years of business. Jo Newland began working at Dann D. Sheffield & Associates in 1997. Jo’s experience and work ethic quickly made her an invaluable part of our firm. Jo is responsible for legal and factual research, preparing pleadings and discovery packages, obtaining witness statements, gathering medical records, drafting settlement agreements and releases, as well as assisting with any other pre-trial duties. Jo works closely with our attorneys and is our right-hand when dealing with difficult legal issues. Travis Sheffield joined Dann D. Sheffield & Associates in 2011, first as an intern and later as an associate attorney. Travis is a Seattle native who graduated from O’dea High School in 2003. Travis graduated from the University of California, Santa Barbara in 2007, receiving his Bachelor of Arts degree in Political Science. Travis received his Juris Doctor degree from Loyola Law School, Los Angeles in 2011. He was admitted to the Washington State Bar Association in 2012 and is a member of the Washington State Association for Justice and the King County Bar Association.